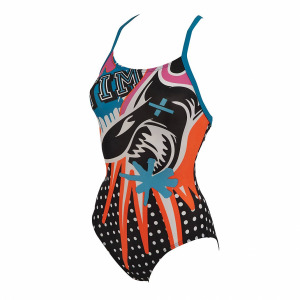 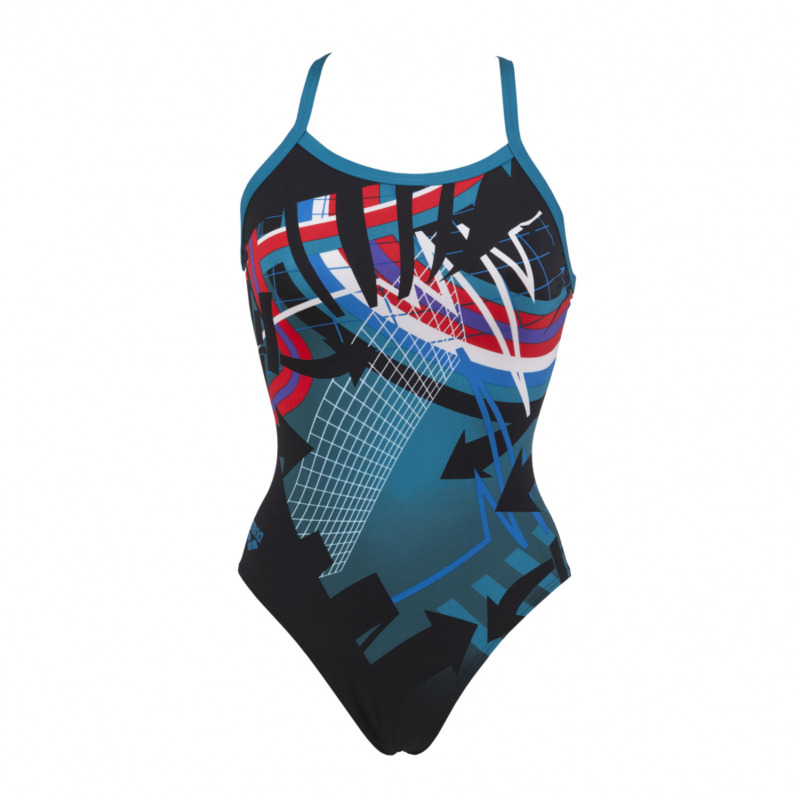 The Arena ladies ‘Warning’ one piece swim costume in black has blue strap detail and bold multicoloured front. 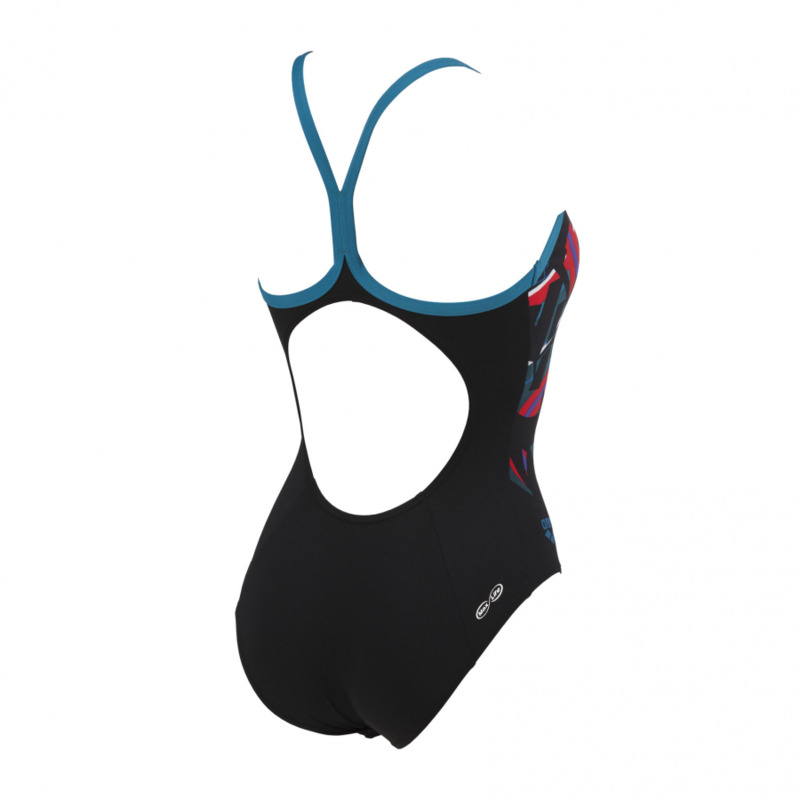 Manufactured from Max Life material for long lasting comfort and performance it provides a perfect fit. 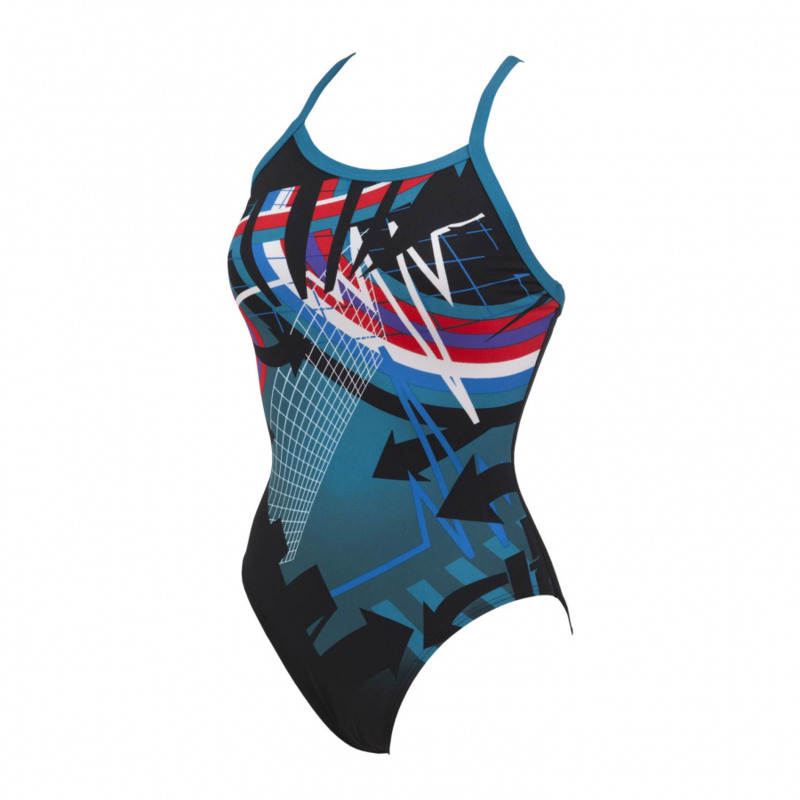 The ‘Warning’ is a state of the art suit that moulds to the body allowing freedom of movement as well as abrasion and pilling resistance. 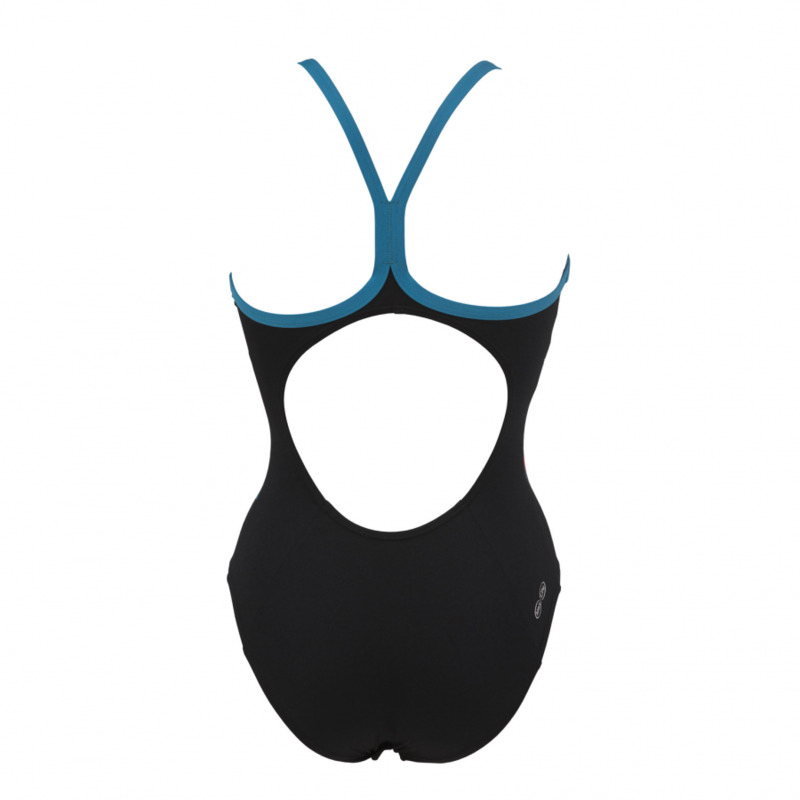 54% Polyester and 46% PBT Max Life material is also chlorine and sunlight resistant which greatly prolongs fabric life. 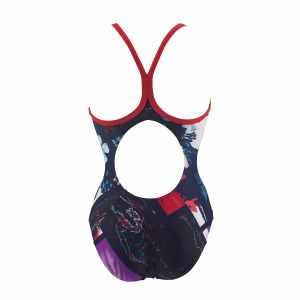 The Light Drop rear strap detail is sporty yet feminine and the medium cut leg complete this attractive swim costume.